Youngsters Theology: Morality without religion? One of my favorite Bible verses will be the Gospel reading this Sunday. It is one that has really stuck with me over the years and I still, to this day wear a symbol that reminds me of this verse. It is also the verse that I thought of this past Sunday when our youth gathered during the Formation hour in Sunday School. They were posed a question. After many of the events that have occurred, not just in the world but even just in Memphis…it often times leads to us ask questions of why these things happen. What would lead someone to do these things? What moral guidelines do people follow when they don’t believe in God? Can morality exist without religion? This was the topic that our high school students discussed this past week. At first it may sound that there should be a fairly simple answer, however, the more you think about it the more complicated it becomes. In some of the conversations that I have had with people, there really has not been much of a consistent response but it seemed that one point came up more often than others. As Christians, we do good because the Bible tells us so…and in some cases it can even come across as, do good or we go to Hell. And for me…that is where I start to struggle with that response. When I hear that it seems that it is merely taking all of the teachings of God and all of the teachings of Jesus and the Bible and simplifying it down to a set of rules. Basically I was uncomfortable with such a simplified version. A Gospel of “Do’s” and “Don’ts”…There had to be more to it than that. That, to me, seemed that people are innately bad unless they believe in God…which would be a belief that would make me struggle. As a Christian, we believe that we were created in the image of God and after being created, God looked at what he had created and indeed, it was very good. As an Episcopalian, we believe in Incarnation Theology which in a sermon given By the Rev. Dan Matthews at Holy Communion in 2012 summed it up as anything of God is good, that everything can be good in moderation, even moderation. But, again I struggle… what if you don’t believe in God? If you don’t believe in God, then you wouldn’t believe that people are innately good and therefore where do morals come from? The answer…I do not know. But if I had to give an answer…I would say yes, morals do exist outside of religion. I do not think you have to be a Christian or that you have to believe in God in order to be morally good or to be a good person. But if that is the case, then this Gospel of “Do’s” and “Don’ts” cannot be a good way to look religion, can it? Sure, when we are younger we may have learned the 10 Commandments and it may have been explained to us in a way that seemed that it was merely a do this and don’t do that type of situation. But as we grow up and we mature and our intelligence matures and our understanding of the world matures…our faith must mature as well. We must grow past this simplified version of the Gospel. What then makes it different? In Exodus we have God summarizing hundreds of laws into the 10 Commandments. Here we have Jesus taking those and simplifying them into this. Nowhere in this passage does it say do this and don’t do that or you will go to Hell. It simply says to live in love, not to just be nice to others. You can be nice to people but still not really like them. Having morals exist within religion but there has to be a greater meaning to being Christian than just being good. I will LOVE God with all of my heart. I will LOVE God with all of my soul. I will LOVE God with all my mind. I will LOVE myself and care for myself. I will LOVE others and care for them just as would for myself. 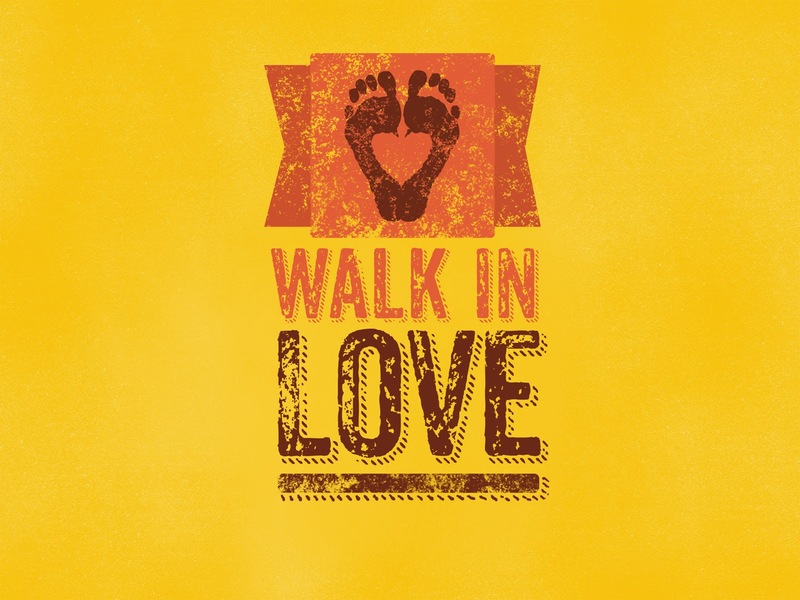 I will walk in LOVE.